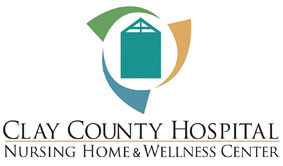 Clay County Hospital: We are an acute care hospital with 53 licensed beds. We strive to make our patients' experience with us as comfortable as possible while providing excellent care. Clay County Nursing Home: We have 83 certified Medicare/Medicaid beds. We make every effort to treat our residents with great care and compassion.